One of the main things that I survive off during my liquids only days and one of the things that I make when I’m in a hurry is protein shakes. I love you can make them in hundreds of different flavors and with all kinds of ingredients. 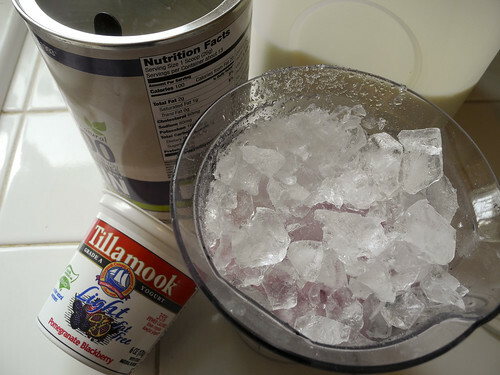 Tillamook Light Yogurt is made with Truvia a natural calorie free sweetener. 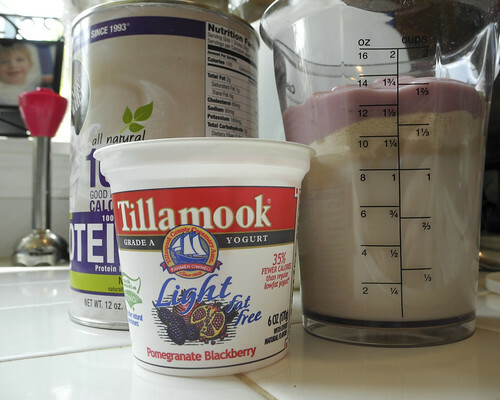 Making this yogurt low in calories and high in flavor. 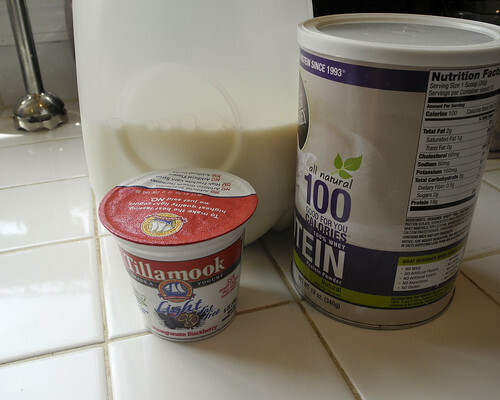 You know I’m a huge greek yogurt eater, but with only 110 calories and 7 grams of protein Tillamook’s new yogurt is amazing! And it is much easier to feed to my boys who are known to turn up their noses to the strong taste of greek yogurt unless it is filled with sugar to cover the flavor. Pour into a nice cup! Stay Tuned: I will be sharing more adventures with Tillamook Light Yogurt! Hint of some things to come: My boys personal reviews, Rainbow Yogurt Drops, Toasted Quinoa on yogurt, and more! What is your favorite shake flavor? 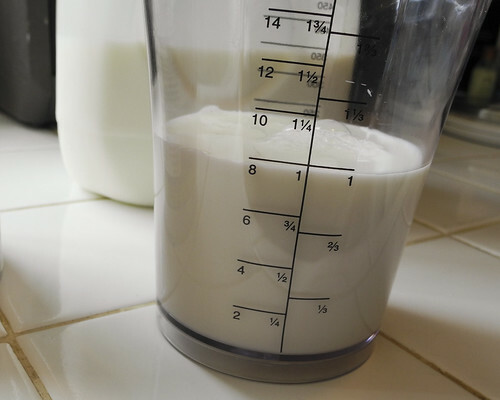 What kind of ingredients have you tried in your shakes? Sounds like something I would enjoy. Nice. looks really good. I’ve never tried greek yougurt but I have heard good things. Everybody I know likes it. 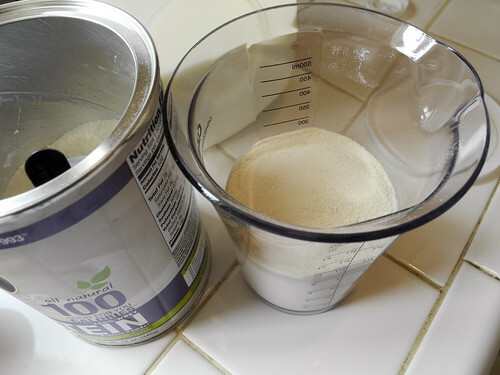 Instead of using protein pwder, I think I’ll make it with my nutritional shake mix. Thanks for the idea. I would like to try that shake.looks really yummy! 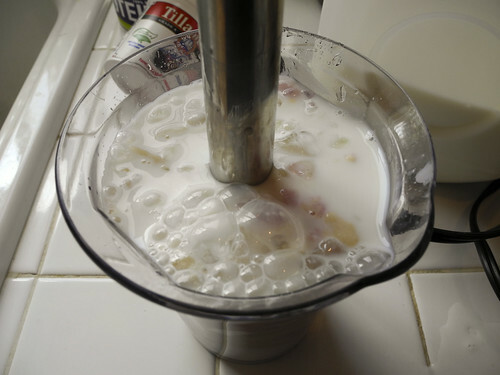 I have never tried the yogurt in my shakes. 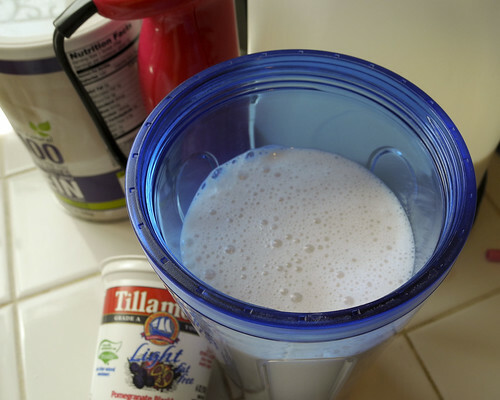 I use 1 banana, some blueberries, milk, and a protein powder in a french vanilla flavor or strawberry which is kinda nice with the blueberries as it adds the strawberry flavor. Cool! Where do I buy it?